Police have arrested more than two dozen people across Europe in anti-terror raids conducted in the wake of a three-day terror siege in Paris and the raid of a terror cell in Belgium. Five have been charged with terrorism. 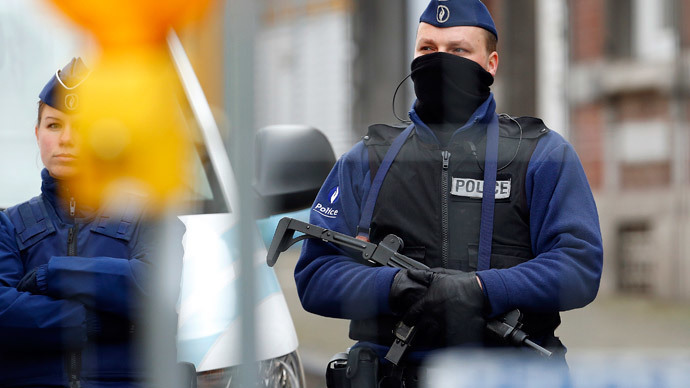 Some 15 were in custody Friday in connection with an impending attack on police in Belgium – 13 of whom were in Belgium and two of whom were in France. 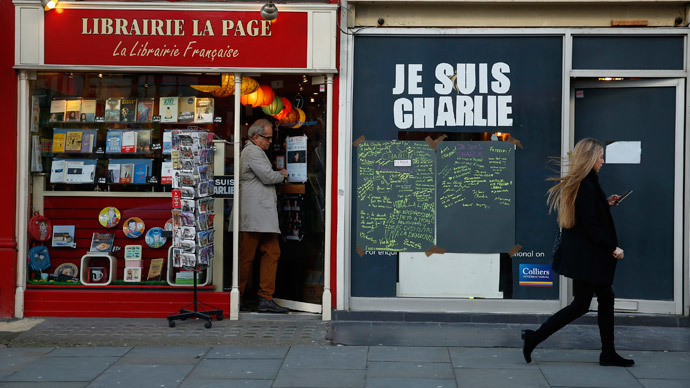 However, it was not clear whether the pair in France had been detained at the request of Belgian authorities. 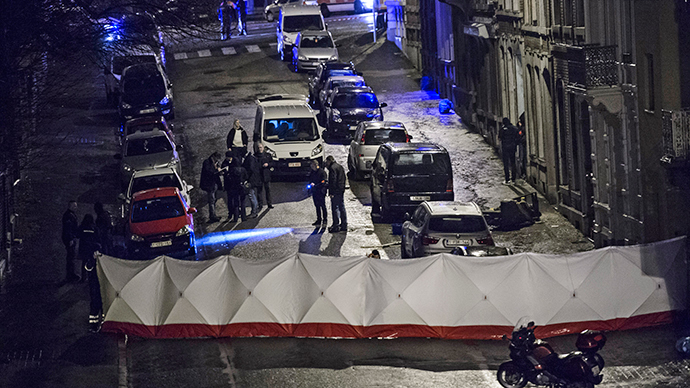 During one of the dozen raids on Thursday night, Belgian police also killed two suspects in Verviers. The suspects, originally from Syria, had allegedly planning a serious and “imminent” attack. While Belgian arrests have come in close succession to the three-day wave of terror that struck Paris and its surrounding areas, the people arrested were not related to the French attacks, Van Der Sypt said. He would not comment on the two French arrests. Around a dozen people arrested in Germany were thought to have had links to Islamic State (also known as ISIS, or ISIL) and were apparently unrelated to the Belgian operation. In Pforzheim, a town of nearly 120,000 inhabitants in southwest Germany, State Criminal Police officials reportedly searched several homes of Islamists on Thursday morning. According to reports, the suspects could be part of a wider network of Islamic State sympathizers allegedly planning attacks in Germany. 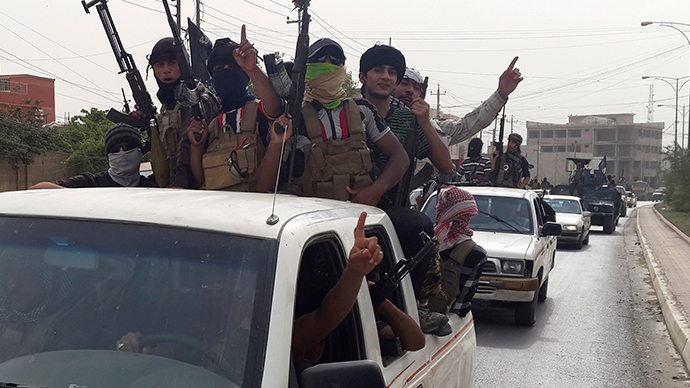 One of the seven was a member of a 50-member group that traveled to Syria and Iraq to fight with the Islamic State, Bild reported. At least 12 ongoing investigations into an alleged Islamist group in Baden-Wuerttemberg state have been launched, the President of the Office of Criminal Investigation (LKA), Uwe Kolmey, said. The anti-terror operation is ongoing as Europe is on high alert following the attacks in France. The increasing sophistication of the alleged terror networks, combined with a lack of organized structure, makes it extremely difficult for police and officials to track every possible terror attack, said Rob Wainwright, head of European Union police agency Europol on Friday. “The scale of the problem, the diffuse nature of the network, the scale of the people involved makes this extremely difficult for even very well-functioning counterterrorist agencies such as we have in France to stop every attack,” AP reported him as saying. Wainwright added that more than 2,500 and maybe even as many as 5,000 suspects have succeeded in entering Europe from war-torn countries such as Iraq and Syria. Despite this, some 20 “sleeper cells” are operating across Europe, an unnamed intelligence official claimed to media Friday. The cells are comprised of some 120-180 people and have been posing a threat to people across France, Germany, Belgium and the Netherlands, the official said. 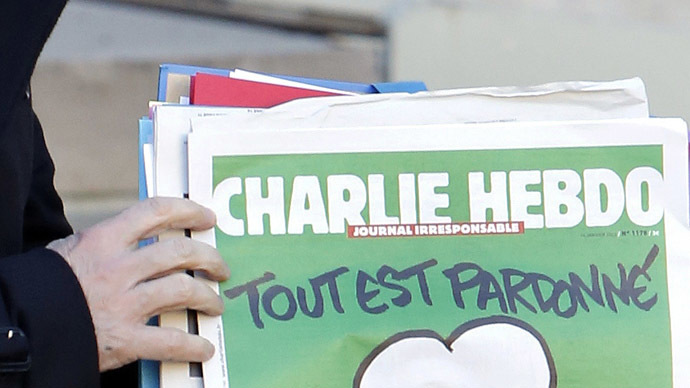 Following the attacks in Paris, police arrested at least 12 people who had been suspected of aiding the gunmen responsible for both last week’s Charlie Hebdo massacre and a related hostage-taking at a Paris kosher supermarket. Around 45 percent of Germans are afraid that the Paris atrocities could be repeated on German soil, according to a DeutschlandTrend opinion poll, published Friday on the ARD website. German authorities have been warned of further attacks on railway stations in both Berlin and Dresden. “We've been tipped off about possible attacks on these rail stations,” an anonymous security source told Reuters on Friday. Dresden is particularly vulnerable, according to the source, on account of weekly marches by an anti-Islam and anti-immigration movement. At times, as many as 25,000 people have been in attendance. UK authorities have raised the terror threat against police to “severe” – the fourth highest of five terror levels in the country. Additionally, there is to be a higher police presence in Jewish communities in Britain on account of “heightened concern” following the hostage-taking crisis in a Parisian kosher supermarket. On Friday, an 18-year-old was arrested at London’s Stansted Airport on suspicion of terrorism offenses. London's Metropolitan Police tweeted: “18yo woman arrested on suspicion of terrorism offenses at Stansted airport by SO15 Counter Terrorism Command at 4pm today - now in custody.” She was seized by anti-terror command SO15 after arriving on a London-bound flight.